Out of 36 incredible bikes, half of our test crew picked Evil's new bike, The Following–a 120-millimeter 29er–as their favorite. Two others mentioned it as a close second, and the only guy who didn't say anything about the bike when asked about his favorite didn't even ride the thing. There's no way to truly understand how remarkable The Following is without riding one yourself, something we definitely recommend doing. 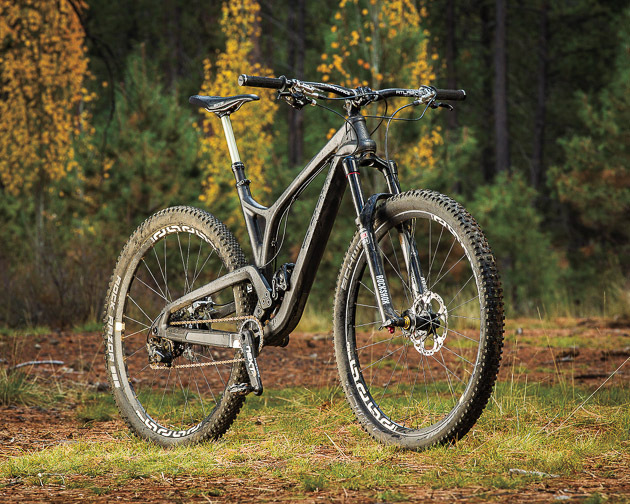 As our senior editor, Vernon Felton puts it, “it's one of those category redefining bikes. It's really that good." Hurry up and get your name on the list, because bikes like this don't stay in stock. For more on the Following and Evil’s shaky history, check out our Blueprint Feature. Last year, the Bible featured one 26-inch bike, Evil's Uprising, and it made everyone's short list of favorites. 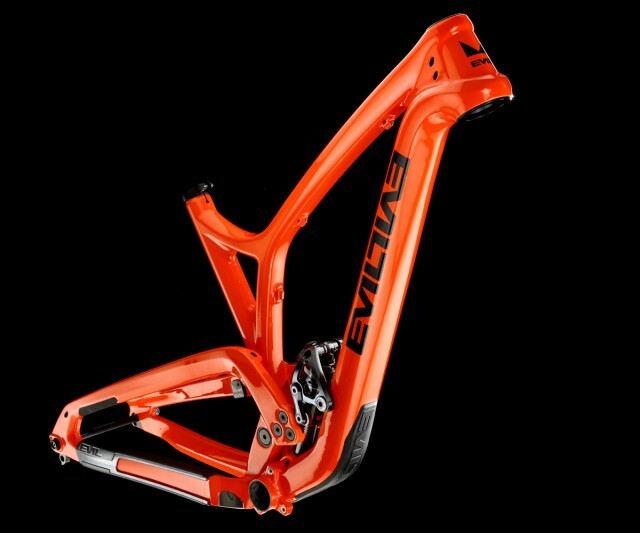 This year, instead of just tweaking it to accept 650b wheels, Evil debuted The Following 29er. Evil is not a big brand. The company's early days were as twisted and rocky as our test course. But there's no better trial than trial by fire, and The Following may be proof that Evil has triumphed. It uses Dave Weagle's DELTA linkage, which had the almost supernatural ability to react exactly how and when we wanted. While climbing, the frame rests at an ideal spot in its travel no matter how steep or how hard the pedal stroke. Evil bikes keep most of their bulk low and in the center of the frame. This made the Following feel especially light under foot. The short 16.8-inch chainstays offered considerably more tire clearance than did the too-tight Uprising rear end. Every tester agreed that with bikes like this available, there's hardly a reason not to ride 29-inch wheels. We had questions about the new bikes before we even got our test rigs, so we sent out a few queries—the kind of things we thought you might be asking yourself when you're looking at this bike. Then we sent out another round of asks if any major questions or issues came up during testing. Here's the feedback we received from Evil's president, Kevin Walsh. VF: Will The Following be available as both a frame and as a built bike? If "yes", to the frame-only option, how much will the frame cost? If also "yes" to the complete bike question, what are the prices for various build options? KW:The Following is available as both a frame and with multiple build kit options. 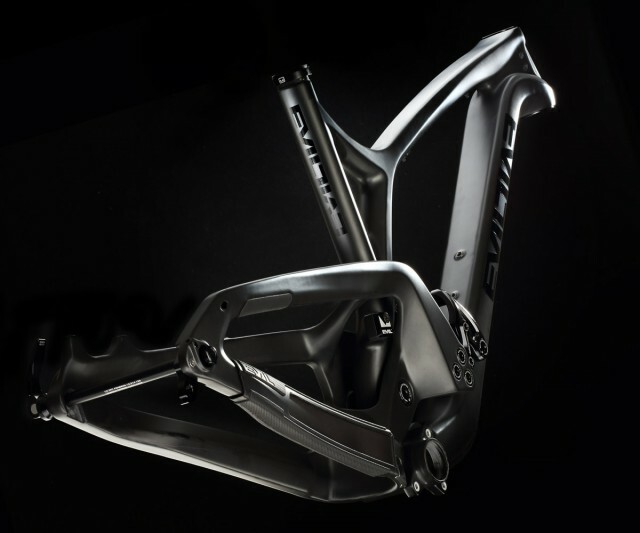 I guess I was living under a rock or protecting my delicate ego, but when we started designing this new bike, 29ers didn't seem like an option for Evil. So now I write this with my shoe in my mouth as I slowly eat all my damn words. At the end of the day the bike pedals well and descends even better, it monster trucks over everything and smooths out chunder like 29ers do. Ironically it has been my go to bike for over a year, despite all the weird looks I got from friends on every ride. VF: What's the lowdown on the geometry? KW: The Following uses the Flip Chip on the Delta System and the optional Dave Weagle integrated headset collaboration with FSA to offer four independent geometry configurations without any change to leverage rates. The bike sits really low with short chain stays and likes to party. If you run it Steep/High you have more of an XC/Trail style configuration and if you set it up as Slack/High it's the perfect all-around geometry for aggressive trail riding.